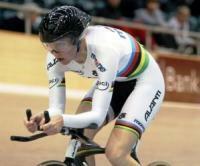 New Zealand’s elite cyclists have embarked on an arduous journey in pursuit of Olympic glory. The London 2012 Olympics might still be 17 months away but Bike NZ has developed an extensive agenda to ensure every minute counts. 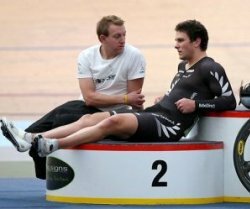 Invercargill-based BikeNZ coach Stu MacDonald believes the intense nature of the programme will leave New Zealand’s cycling heroes in peak condition for the medal fight. “With the Olympics next year, this year needs to be really, really big so that the guys really take a step up in terms of physical strength,” he said. Inclusion in pro-tour teams was a distinct advantage for some riders, while Bike NZ had also included several prominent under-23 races in its extended international race schedule. “It’s a big year for them with a two-fold objective. One is to get them in peak form for October, which is when our Olympic trials are, and two is to ultimately get them into a bigger professional team, especially for next year because with the Olympics in August, they’re still going to need a big road programme from April to June-July,” MacDonald said. The roads of Europe provided valuable preparation. “Especially for the endurance guys because they need that volume and they’ve got be aerobically fit ultimately. There’s a lot more resistance on the road than there is riding around on the boards so that just gives you that deep down strength,” MacDonald said. Development coach for the under-23 programme, MacDonald has a talented group of riders under his tutelage – Myron Simpson, Shane Archbold, Aaron Gate, Cam Karwowski, Jason Christie and Will Bowman. With the exception of Bowman who has just entered the senior ranks, all have World Cup medals to their credit, boding well for the future of New Zealand cycling. “The good thing about it now is there’s a structure in place and there’s a definite clear pathway for the riders to really strive for. The younger guys coming through can see the success the older guys are having and want a piece of it,” he said. Kiwi cyclists were no longer intimidated by the aggressively-competitive international scene, with riders like Simon van Velthooven regarded a formidable force in Japan’s professional keirin ranks. A new realisation they possessed the ability to dominate globally had installed a confident steak into the New Zealand contingent. “We a fairly small team with regard to going to some of the bigger races but we’ve got that Kiwi grit and determination – everyone goes there and wants to win but the Kiwis really dig deep for it,” MacDonald said. International commitments have ruled some of New Zealand’s elite riders out of this week’s RaboDirect National Elite and Age Group Track Championships. “We had to change our plans quite late in the piece but we wanted to try and replicate what we’re going to do next year in the Olympic year this year so if we make any mistakes we can learn from them and won’t end up making them next year,” MacDonald said. Surprisingly, actually keeping the riders off the track was a tough task. Claiming a New Zealand title was a proud moment in any cyclist’s career. “You get to wear the jersey for the year and you get your name on some silverware and some very talented people have got their name on it so far,” MacDonald said. The championships were an important cog in the overall Bike NZ operation, particularly for selection purposes. “It’s a competitive event and they get that race day boost on so it’s very important for us,” MacDonald said. 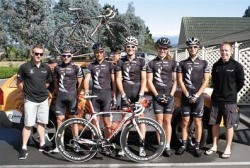 MacDonald joined the BikeNZ team in 2009 after lengthy stints working with both the British and Welsh cycling teams. “I’ve got quite a good inside knowledge of how it works over there,” he said. “Working for the Kiwis is a lot more enjoyable. The Kiwis get the job done but we have a good laugh as well, whereas the Brits get the job done, there’s no question about that, but it’s a very serious environment to be in. The personable Welshman etched out a credible riding career on his local European scene.